Are you looking for an exciting opportunity to take on a leadership role in our field and collaborate with others who share the same drive and passion? Then we need you! The Alumni Career Services Network (ACSN) Board of Directors is currently accepting nominations for several board positions. As a growing organization, we're looking for dynamic, energetic individuals who are eager to contribute to the alumni career services profession. If you're new to ACSN and/or alumni career services, becoming an AVP is a great way to get involved and learn more. If you've been a member, we need your talent. The ACSN Board meets monthly via Zoom and the average commitment is 5-10 hours per month, depending on the time of year and the specific role. Open board positions include: Treasurer-Elect, VP Business Development, AVP Programming (Mentor Program), VP Research, AVP Research, Co-VP Communication, AVP Communication and VP Membership/Nominations. View job descriptions below. VPs serve two-year terms while AVPs serve one-year terms. No member may serve more than four years in any one position. Board positions are open to current ACSN professional individual members only. To self-nominate for one of these roles, please click here or share it with a friend. All nominations are due by 5 pm EST on May 4th. If you have any questions about board service or specific roles, don't hesitate to reach out to Pat Fligge, interim VP of membership, at [email protected]. Job descriptions for each position are set forth below. Except where specifically noted, all positions are for one-year terms and may be renewed for an additional year with the approval of the Board and a vote of the members. The President oversees all business of ACSN, trains the President-Elect, and provides an annual report to the membership. The President shall communicate with VPs to provide support and vision for their roles. The President-Elect assists the President with the business of ACSN. S/he stands in for the President when necessary, learns the business of the organization by shadowing the President and succeeds the President when his/her term expires. The Past-President provides guidance and support to the President and President-Elect, sharing wisdom from his/her experience as President and helping with a smooth leadership transition. The Secretary schedules and participates in monthly board conference calls; records, reviews, and prepares meeting minutes; and disseminates information in a timely fashion to fellow board members. The Treasurer manages the finances, bank account, credit cards, and budget and tax filings of ACSN. The Treasurer reports to the Board on a monthly basis regarding income, expenses and current account balances. The Treasurer makes recommendations to the Board regarding streamlining and improving ACSN financial processes. The Treasurer also opines at Board meetings on whether expenses are reasonable and within the budget of ACSN. The Treasurer provides an annual report to the membership. The Treasurer serves in this position for two years. During the second year of his/her tenure, s/he trains the Treasurer-Elect. The Treasurer-Elect assists the Treasurer, stands in for the Treasurer when necessary, learns the finances of the organization by shadowing the Treasurer and succeeds the Treasurer when his/her term expires. The Treasurer also serves as a member of the Conference Committee to assist with conference financial planning. The Treasurer-Elect serves a one-year term. The Conference Chair (or Co-Chairs) oversees all preparations for the annual ACSN conference including the conference hotel/location, program, registration, marketing, social/entertainment options, resource sharing and all other facets of the annual conference. The Chair (or Co-Chairs) form and manage the conference committee, appointing AVPs or Committee Chairs in any programmatic areas they deem appropriate. The Vice-President of Business Development works with outside vendors to support ACSN’s mission and purpose via cash contributions and/or services. This includes seeking and stewarding corporate and conference partners for ACSN and establishing the strategy for how ACSN interacts with them. The Vice-President of Business Development manages the Assistant Vice-Presidents (AVPs) of Business Development, providing guidance for their individual roles. These roles may vary depending on the needs of the current Vice-President and the specific role(s) s/he chooses to assume. The VP of Business Development may seek nominations and/or appoint more than one AVP in any area. • AVP Website - Keep Corporate Partner information on ACSN website up-to-date. • AVP Webinars/Demos - Coordinate webinars and product demos with Corporate Partners and VP of Programming. The Vice-President of Communications manages all aspects of communication with ACSN members and outside constituents and collaborates with other Board members to accomplish their goals. When appropriate, the VP makes recommendations to the board regarding streamlining, overhauling, and evolving ACSN’s virtual presence, provides strategy and suggestions on future communications efforts and initiatives and implements approved changes. The Vice-President of Communications manages all e-mail communications to ACSN members and works with the VP of Business Development to ensure sponsors are recognized as necessary. 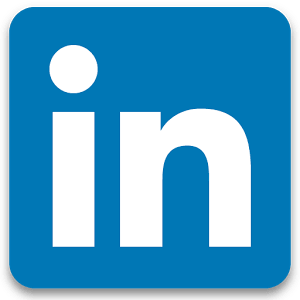 This position approves new members to the ACSN LinkedIn group, posts relevant discussions and updates the @MyACSN Twitter handle. S/he coordinates with board colleagues to provide consistent messaging, print media, communications, and virtual presence of ACSN. The Vice-President manages the AVPs of Communications, providing guidance for their individual roles. These roles may vary depending on the needs of the current Vice-President and the specific role(s) s/he chooses to assume. The VP for Programming may seek nominations and/or appoint more than one AVP in any area. • AVP - Website Management – includes day-to-day management of the website, including updating content and approving members. • AVP – Social Media – includes approving membership to the ACSN LinkedIn group, posting content in various outlets and updating the Twitter handle. • AVP – General Communications – general responsibility for consistent messaging and appearance of all communications. The Vice-President of Membership/Nominations manages all aspects of growing, tracking and stewarding the membership of ACSN and to ensure that the Board recruits and retains strong leadership into our future and collaborates with other Board members to accomplish their goals. When appropriate, the VP makes recommendations to the board regarding membership categories, pricing of membership fee, and modifying ACSN’s nomination and election process for new members to the Board. This person provides strategy and suggestions on future growth and membership retention and implements approved changes. The VP insures collaboration between membership team members and other VPs and AVPs, particularly Communication. The Vice-President manages the AVPs of Membership/Nominations, providing guidance for their individual roles. These roles may vary depending on the needs of the current Vice-President and the specific role(s) s/he chooses to assume. The VP for Membership/Nominations may seek nominations and/or appoint more than one AVP in any area. • AVP - Marketing and outreach – general responsibility for collaborating with Communications team to grow membership (regional NACE, other LI groups). • AVP – Nominations –general responsibility for oversight of the nominations procedures according to by-laws; sets and implements timelines; solicits nominations; and, puts creates the slate for presentation to voting members each spring prior to the annual conference. • AVP - Stewardship –general responsibility for regular oversight of membership inquiries, welcoming of new members, and oversight of membership upkeep and accuracy of Memberclicks member management functions. Programming manages ongoing and innovative learning opportunities for members, including member webinars, virtual resources, and regional meetings and mentoring. The Vice-President manages the AVPs of Programming, providing guidance for their individual roles. • AVP – Webinars – general responsibility for the monthly ACSN member webinars. • AVP – Virtual Resources – general responsibility for creating/posting resources of general interest to ACSN members. • AVP – Regional/National meet-ups – general responsibility for creating a strategy around regional/national opportunities for ACSN members to receive ongoing training/professional development outside the annual conference. The Vice-President for Research manages ongoing professional research that supports the work of ACSN and its members. This may include support for the work of alumni career services professionals, best practices in the field, salary and benefits of professionals, or whatever areas the VP of Research and the Board deems appropriate. The VP for Research makes recommendations to the Board about appropriate new areas of research and regarding partnerships with outside organizations that can support this work. The VP manages the AVPs of Research, providing guidance for their individual roles. These roles may vary depending on the needs of the current Vice-President and the specific role(s) s/he chooses to assume. The Executive Board consists of the President, President-Elect, Past President, Secretary, Treasurer, Treasurer-Elect, Conference Chair (or Co-Chairs) and all Vice-Presidents. All Executive Board positions are nominated and elected by the membership. In the event of a vacancy during the term of office, the Executive Board may appoint a replacement to serve the remaining term of the original office-holder. Vice-Presidents may seek nominations for and/or appoint more than one AVP in any existing or new area that is consistent with their role and allows their area to move forward more productively and efficiently. Assistant Vice-Presidents are nominated and elected by the ACSN membership. Any Vice-President may appoint an Assistant Vice-President after elections to handle additional or new position responsibilities or to fill a vacancy. As a volunteer organization, ACSN relies on the work of its members. To more fairly distribute that work and to encourage involvement by new members, each VP may appoint a Committee to assist with the work of the VP and AVPs in their programmatic area.